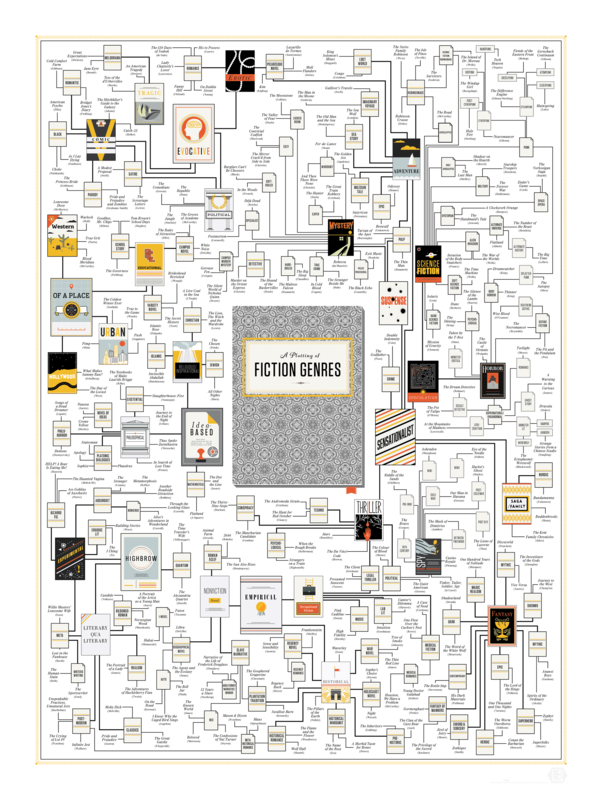 ElectricLit has a downloadable map of all the literary genres plus representative books for each category. A few designations may be confusing — I’ve never thought of Southern Gothic as a branch of horror, and some may question putting C.S. Lewis’ The Lion, the Witch, and the Wardrobe under Christian rather than fantasy (most Christian novelists and readers would reject the magic in both Lewis’ and Tolkien’s works). But you’ll have a blast rambling around and even getting lost in this maze of literary geography. Enjoy!